A City University London academic and colleagues have come up with a new questionnaire which could help diagnose a condition called face blindness. The study, which is published in Royal Society Open Science, could help people with the condition - known formally as developmental prosopagnosia (DP) - get an indication if they have the condition, and therefore appropriate support. Affecting around two in every 100 people in the UK, prosopagnosia is characterised by difficulties recognising people from their faces. In its most extreme form, people cannot even recognise their family or friends. Milder forms, while still distressing, can be tricky to diagnose, which is why tests are needed. People with prosopagnosia often use non-facial cues to recognise others, such as their hairstyle, clothes, voice, or distinctive features. Some may be unaware that they have the condition, instead believing they have a "bad memory for faces". But prosopagnosia is entirely unrelated to intelligence or broader memory ability. 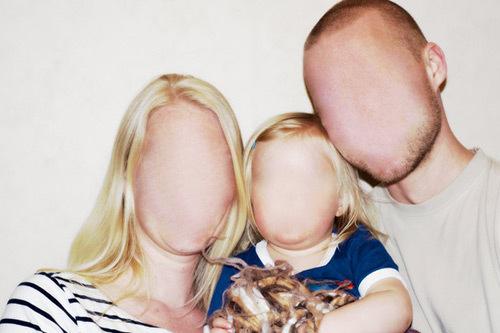 “There are two main forms of prosopagnosia. One is acquired and normally results from brain damage - for example from a car accident or stroke - while the other is a developmental form which was previously thought to be incredibly rare. To investigate if the questionnaire could distinguish between those with the condition, the team recruited 319 adults aged between 18 and 74, with 242 controls and 77 people with suspected prosopagnosia. The participants with suspected prosopagnosia were recruited via www.troublewithfaces.org complaining of face recognition difficulties, or were recruited via online communities for individuals with prosopagnosia. Speaking to BBC News about the condition, one [anonymous] person with prosopagnosia explains: "My biggest problem is seeing the difference between ordinary-looking people, especially faces with few specific traits. "I work at a hospital with an awful lot of employees and I often introduce myself to colleagues with whom I have worked several times before. I also often have problems recognising my next-door neighbour, even though we have been neighbours for eight years now. She often changes clothes, hairstyle and hair colour. When I strive to recognise people, I try to use technical clues like clothing, hairstyle, scars, glasses, their dialect and so on."